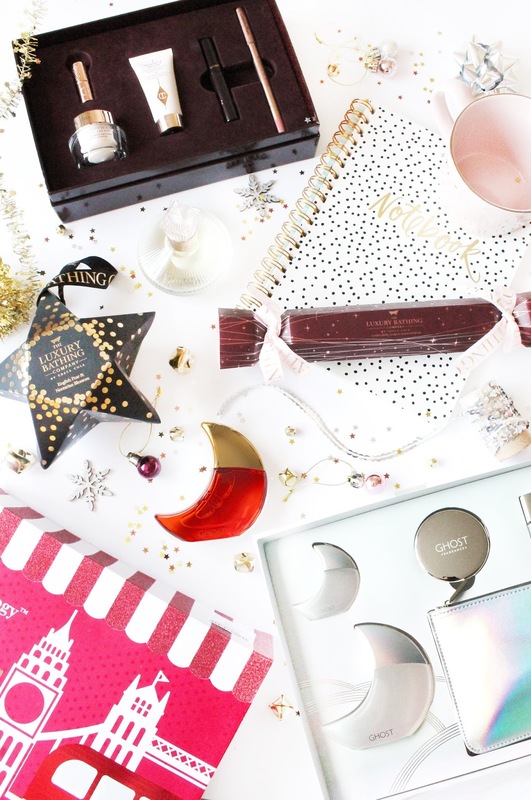 I've absolutely loved putting together my gift guides this year and it's given me a massive blog motivational boost. That being said i've also worked with some dream brands this month, and as i've been sent some last minute gifting bits I thought i'd do one extra unplanned gift guide for you! With Christmas just round the corner, here's a few last minute gift ideas for the last minute shoppers! It has to be said that one of my favourite brands/stores for homeware shopping and unique gifts is Home Sense as you can always find something that no one else is likely to have! 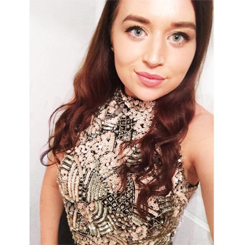 As they are apart of the TkMaxx group, they always stock some amazing gifts at this time of year, so in true me style I popped down to my local store to see what they had to offer! Beauty wise they have some amazing gift sets from some well known brands, and one gift set that caught my eye was the Beauticology Selection Box* (£30) which retails for just £12.99 in Home Sense and for anyone who loves a good pamper, then this gift set would make a perfect gift. I also thought i'd browse the stocking filler section, as you can't go wrong with a beauty stocking filler and they always stock some amazingly affordable options. A brand that have some great stocking fillers are Grace Cole, of which every year are beautifully packaged like traditional Christmas ornaments. My local Home Sense had a wide selection of the Grace Cole Christmas Baubles* (£2.99) and Grace Cole Christmas Crackers* (£2.99) which contain mini's of some of their best selling scents/products. In true me style I got a bit caught up in the stationary aisle, as we all know that they stock some amazing notebooks and planners, which would make a fab stocking filler for any gals out there. I've been eyeing this Fringe Polka Dot Notebook* (£5.99) for a while now, as it's total Pinterest goals and it is so affordable. Finally I couldn't not see if they had any cute yet affordable home ware bits as anyone who has shopped in Home Sense will know that they always stock an array of cute mugs, and as soon as I saw this Joyye Mug* (£3.99) I just knew it would be the perfect gift. I absolutely love the baby pink and gold fleck design to this and I know so many girls that would be happy to receive this for Christmas! 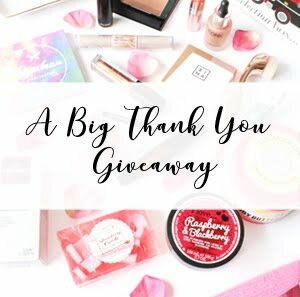 A beauty brand that I never thought i'd dream of working with would be Charlotte Tilbury and they ever so kindly sent over a couple of gifting bits of which would make a lovely beauty gift for any beauty lovers out there. This year they have released their Beauty Icons Giftset* (£55) which contains five of Charlotte Tilbury's best selling products, which include the Charlotte's Magic Cream, Wonderglow Primer and a few more products all of which come in a beautiful branded box, and would make a beautiful gift this Christmas. Also for anyone who loves a bit of fragrance, then you cannot go wrong with the Charlotte Tilbury Scent of a Dream Perfume* (£68) which is probably the most sophisticated perfume i've ever seen or smelt. It has a beautiful classic smell that would make a perfect gift for any fragrance lover out there. Finally for this last minute gift guide I have a bit of fragrance for you from Ghost who have released some lovely, yet affordable gift sets this Christmas that would make perfect presents and also stocking fillers for anyone this Christmas! 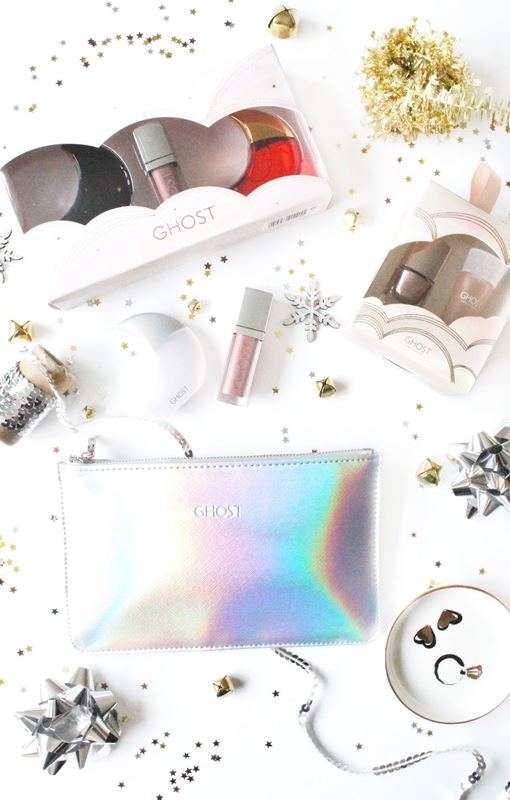 For anyone who loves their fragrance but also their beauty products in general then the Ghost Whitelight Gift Set* (£38) which contains a full size and also a handbag/travel size of their well known Whitelight fragrance, as well as a little holographic clutch bag, a compact mirror, a silver nail polish and a lip gloss! Now for what you get in this gift set, I think it's an absolute bargain and would be a lovely gift to give this Christmas. For stocking fillers, they have released their Ghost To The Moon & Back Gift Set* (£12) which contains two of their iconic fragrances and also a mini lipgloss, which again would be a lovely little gift to give this Christmas! Finally they have also released a few gift sets of which double as cute Christmas tree decorations and I personally love when brands do this. This year they have released mini's of all of their perfumes, of which come with a nail varnish to match and the one they kindly sent over to me was the Ghost Sweetheart Mini* (£8) but unfortunately this one seems to have sold out everywhere, so it must be proving popular! However all of the others are still available, and for £8 you can't go wrong! I hope this last minute gift guide was of some help, as there are so many wonderful gift sets out on the market this year !